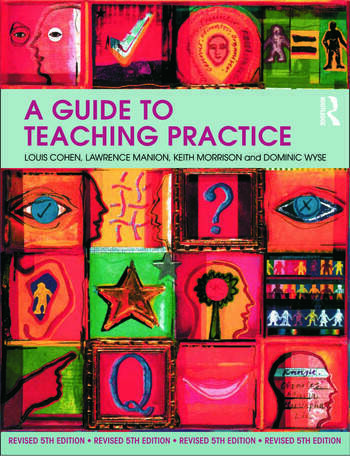 A Guide to Teaching Practice is the major standard text for all students on initial teacher training courses in the UK. Authoritative yet accessible, it covers the important basic skills and issues that students need to consider during their practice, such as planning, classroom organization, behaviour management and assessment. The book's focus on the quality of teaching and learning and consideration of the latest regulations and guidelines ensures that it fits comfortably within TTA and OfSTED frameworks. In addition, comprehensively revised and fully updated, this fifth edition features brand new chapters on the foundation stage, legal issues, learning and teaching and using ICT in the classroom, as well as new material on numeracy, literacy, children's rights, progress files and gifted and talented children. This book is the most respected and widely used textbook for initial teacher training courses and will be an essential resource for any student teacher. Louise Cohen is Emeritus Professor of Education at Loughborough University of Technoloy. Lawrence Manion was formerly Principal Lecturer in Music at the Manchester Metropolitan University. Keith Morrison was Senior Lecturer in Education at the University of Durham before becoming Professor of Education and Dean of the School of Education at the Inter-University of Macau.